Martin John Rees, Baron Rees of Ludlow, OM, FRS, FREng, FMedSci (born 23 June 1942) is a British cosmologist and astrophysicist. He has been Astronomer Royal since 1995 and was Master of Trinity College, Cambridge from 2004 to 2012 and President of the Royal Society between 2005 and 2010. Rees was born on 23 June 1942 in York, England. He was educated at Bedstone College, then from the age of 13 at Shrewsbury School, Shropshire. He studied for the Mathematics tripos at Trinity College, Cambridge, graduating with first class. He then undertook post-graduate research at Cambridge and completed a PhD degree under Dennis Sciama in 1967. After holding post-doctoral research positions in the United Kingdom and the United States, he taught at Sussex University and the University of Cambridge, where he was the Plumian Professor until 1991, and the director of the Institute of Astronomy. From 1992 to 2003, he was Royal Society Research Professor, and from 2003 Professor of Cosmology and Astrophysics. He was Professor of Astronomy at Gresham College, London, in 1975 and became a Fellow of the Royal Society in 1979. He holds Visiting Professorships at Imperial College London and at the University of Leicester and is an Honorary Fellow of Darwin College, Cambridge and Jesus College, Cambridge. Lord Rees has received honorary degrees from a number of universities including Sussex, Uppsala, Toronto, Durham, Oxford, Yale, Melbourne and Sydney. He belongs to several foreign academies, including the US National Academy of Sciences, the Russian Academy of Sciences and the Pontifical Academy of Sciences. He has been President of the Royal Astronomical Society (1992–94) and the British Association (1995–96), and was a Member of Council of the Royal Institution of Great Britain until 2010. Rees is the author of more than 500 research papers, and he has made important contributions to the origin of cosmic microwave background radiation, as well as to galaxy clustering and formation. His studies of the distribution of quasars led to final disproof of Steady State theory. In recent years, Lord Rees has worked on gamma-ray bursts, especially in collaboration with Peter Mészáros, and on how the “cosmic dark ages” ended when the first stars formed. In a more speculative vein, he has, since the 1970s, been interested in anthropic reasoning, and the possibility that our visible universe is part of a vaster “multiverse”. Lord Rees is an author of books on astronomy and science intended for the lay public and gives many public lectures and broadcasts. In 2010 he was chosen to deliver the Reith Lectures for the BBC, now published as From Here to Infinity: Scientific Horizons. Rees believes the Search for Extraterrestrial Intelligence is worthwhile, although the chance of success is small. He became President of the Royal Society on 1 December 2005 and continued until the end of the Society's 350th Anniversary Celebrations in 2010. In 2011, he was awarded the Templeton Prize. In August 2014, Lord Rees of Ludlow was one of 200 public figures who were signatories to a letter to The Guardian opposing Scottish independence in the run-up to September's referendum on that issue. ^ "Portraits of Astronomers Royal". http://www.rmg.co.uk. Royal Museums Greenwich. Retrieved 18 February 2015. ^ Inventory: Martin Rees, ft.com; accessed 31 August 2014. ^ "Foreign Honorary Members". Bilim Akademisi. Bilim Akademisi. Retrieved 31 August 2014. ^ "Celebrities' open letter to Scotland". theguardian.com. 7 August 2014. Retrieved 26 August 2014. ^ Carrington, Damian. "Global Apollo programme seeks to make clean energy cheaper than coal". ^ The London Gazette: no. 52935. p. 9177. 29 May 1992. ^ "Albert Einstein World Award of Science 2003". Retrieved 13 August 2013. ^ The London Gazette: no. 57753. p. 11653. 9 September 2005. ^ The London Gazette: no. 58379. p. 9395. 29 June 2007. 2005 talk: Is this our final century?, ted.com; accessed 31 August 2014. Interviews with Charlie Rose, 2003 and 2008, charlierose.com; accessed 31 August 2014. 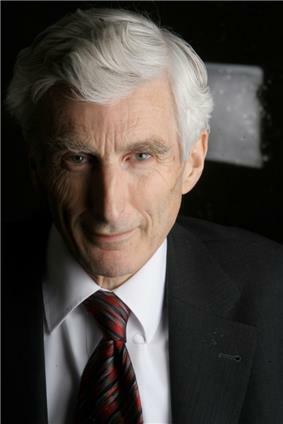 New Statesman Interviews Martin Rees, newstatesman.com, 6 April 2010; accessed 31 August 2014.